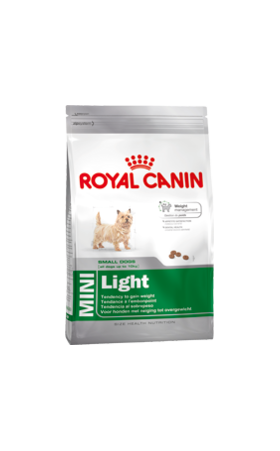 Complete feed for adult (over 10 months old) and mature small breed dogs (adult weight up to 10 kg) with a tendency to gain weight. Helps reduce your dog’s energy intake by 18% (compared to a maintenance feed) while giving the same quantity of food. Helps achieve ideal weight by combining a high protein level (30%) with a low fat content (11%) and L-carnitine to aid the metabolism of fats while maintaining muscle mass.